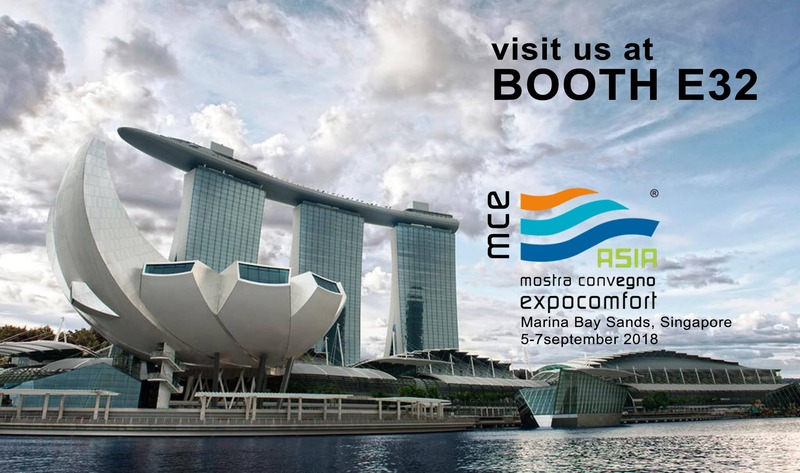 The Rietti Group staff is proud to announce its participation in the Mostra Convegno Expocomfort MCE Asia, which will be held in Singapore from the 5th to the 7th September 2018. MCE Asia is one of the leading events in the plumbing and renewable energy sectors for commercial, industrial and residential use, an important fair where companies meet and build partnerships exploring new business opportunities. MCE Asia is also a great showcase for the proposing and sharing of ideas, products and technologies. More than 12,000 sector professionals will be present, with 250 local and international brands. After the great success of last March at the Mostra Convegno Expocomfort MCE Milan, the company flies to Singapore to present a carefully selected range of high quality pipes and fittings. The Staff Rietti Group invites you to visit the space dedicated to the PPR Rietti System at Stand E32.